I had the pleasure of interviewing Oscar Ugaz recently. For those of you not familiar with Oscar, he is a Digital Business Consultant that has worked with some of the biggest brands in the world including Toyota, SAB Miller and Real Madrid F.C. In his former role as the Digital Business Manager for Real Madrid F.C., he was responsible for launching the Real Madrid F.C. Facebook Page (currently 24M+ Likes), Real Madrid Twitter Account (currently 2.5M+ Followers) and Real Madrid YouTube Channel (55M+ Views). He also led the development of the club ecommerce projects and the business aspects of RealMadrid.com multilingual versions. As you’ll see in this interview, Oscar is a brilliant mind in the world of digital media. But, what really stood out to me was his approachable demeanor and the value he places on constant learning and connecting with smart, influencial people in the industry. 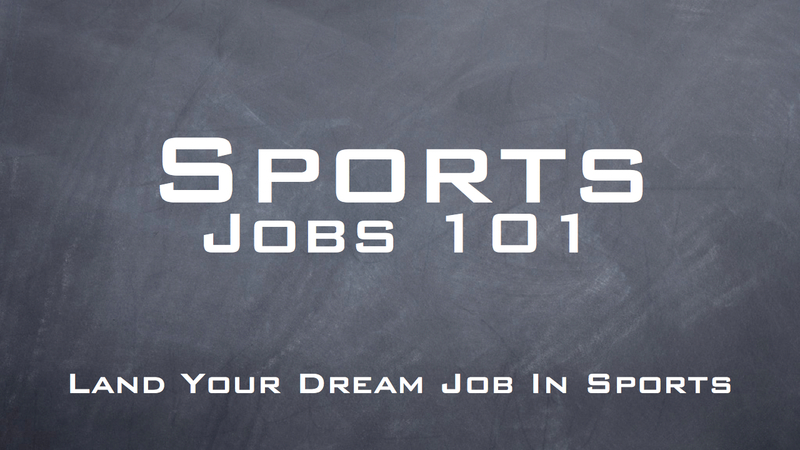 If you are looking to land your first job in sports or are a seasoned sports business professional looking to take your career to the next level……do yourself a favor and watch this interview from start to finish! If you have any questions for Oscar, leave them in the comments below and please feel free to share this interview with your friends on Facebook & Twitter! Hey everyone it’s Trevor here with Sports Networker and I’m very excited to introduce all of you to Oscar Ugaz. How’s it going Oscar? Great. For those of you that don’t know Oscar you’ll probably be familiar with some of the brands that he’s worked with for the last few years. In particular the Real Madrid, soccer team over in Europe. He was the digital business manager over there. We’re going to talk about that and how he got into that role. He has some interesting stories to share as well. And then his current role as well with Phantasia in Spain. I understand that he is traveling all over the world so it will be an exciting conversation to talk about everything that Oscar does. Let’s start Oscar by going back a few years and talking about how you got into that role with Real Madrid. What was the background behind that? I had been working for a long time in Latin America with an interactive agency and I still work with them. One day, because of personal matters, I had to move myself to Spain and we decided to open an agency here in Madrid. So we do it and in 2006 we started working on that. About seven months after I arrived, a head hunter called me out of the blue and said, “You know we have this offer at a “small” football club. Would you be interested to develop the digital strategy for them?” I said, “Yeah that may be interesting” and the club happens to be Real Madrid. The interesting thing is that when I asked the head hunter how he found me he said, “well we see that you have this profile on the Internet and LinkedIn and we also see that you have a blog and you have being writing a lot of this digital stuff. For me, in 2007 in Spain, that sounds very new and very brave. That was something that was not so common and it impressed me a lot. And well we have all these conversations with the guys at the club and at the end of the day they offered me a job, I was very happy to be accepted and I started working with them. I have to confess that I don’t like sports and my wife said to me before I sign the contract “you have to confess you don´t like it”. So I confessed and they said “it doesn’t matter we want objective people”. It was a great place to work and a very, very nice experience. Yeah and that was something we discussed briefly before we got onto this call. The idea that it’s extremely valuable to learn the business side on a number of levels as opposed to just saying you want to work in sports right? Because really it is still business your conducting, whether it’s sales or sponsorship or on the digital side. What are your thoughts on that? There are a lot of people that watch these videos that are trying to figure out what they’re supposed to do to get into a role like that. Do I just become a superfan and hopefully somebody notices or do I try and focus in on something? What are your thoughts? I’m not so positive and friendly with the idea of specific studies in sports. Take for example, my own experience. I studied advertising and worked in that for many years. Then I studied an MBA and I never figured I would be working in sports. I know how to manage a business; I have this broad vision of it. Also the people that I know, guys that have make it in sports; they start in different things and different fields. But in some way or another, they get interested in sports, they get involve with the right people, they went to the right conferences or to the right places. My personal opinion is if you want to study a career in sports that’s great but have a broader vision of things is important. Sports are a business and like any business it is not only based in numbers and passion. It´s also about managing people, work with different types of professionals. I think the more open and the more curious you are is going to be better and it’s going to prepare you best. If you want to land a job in sports, is like if you want to land a job in any other profession: you have to start gathering with the right people, reading the right books, assisting or listening to the right webinars and stuff like that. I think that’s the best way to do it in this kind of business or in any profession. Yeah. And we also discussed briefly, before this call, the idea of doing free work. Not necessarily undervaluing yourself but the whole concept of giving back and the opportunities that will open up as a result. I know that you do a lot of speaking and you mentioned, even to this day, where the value of meeting these influential people that might end up crossing your path in the business world has proved invaluable to yourself as well correct? Yes, that’s right. For example, I mentioned that story about me. I wrote this blog of mine four years ago not because someone is paying me. It’s because I like it and I want to express my ideas. It’s also because it makes me think. If you want to write about something you have to research and investigate and then build something logical. That helps to keep your mind working but also help you to learn how to express your ideas. That’s maybe work for free. But a lot of people contact you and say, “You have a lot of important things to say.” Is also a way to meet other people and exchange ideas. You never know when someone is going to cross your path and say, “I want to exchange ideas but I also want to work with you because I think that you have a very good approach.” That is something that people like me, that are in the middle of a career are doing a lot. Because we understand that contacts are ways to exchange information and learn new stuff. Because every day there are younger people asking and giving you fresh ideas. It’s something that we do for free because at the end of the day it’s going to have a benefit. I think that this is something that young people starting their careers need to keep in mind. A free job is not a free job if it means that you are building experience. If you are building experience it’s one of the best jobs that you can have. Yeah. The idea of doing that free work; there’s numerous ways that people can get experience to try to get their foot in the door. Internships, education networking, I think what you’re summarizing is really a collection of all of those right? You’re educating yourself and then that Web site or LinkedIn presence that you put out there is really that first impression right? It gives people that instant glimpse into who you are and what you know and what you’re interested in learning about. 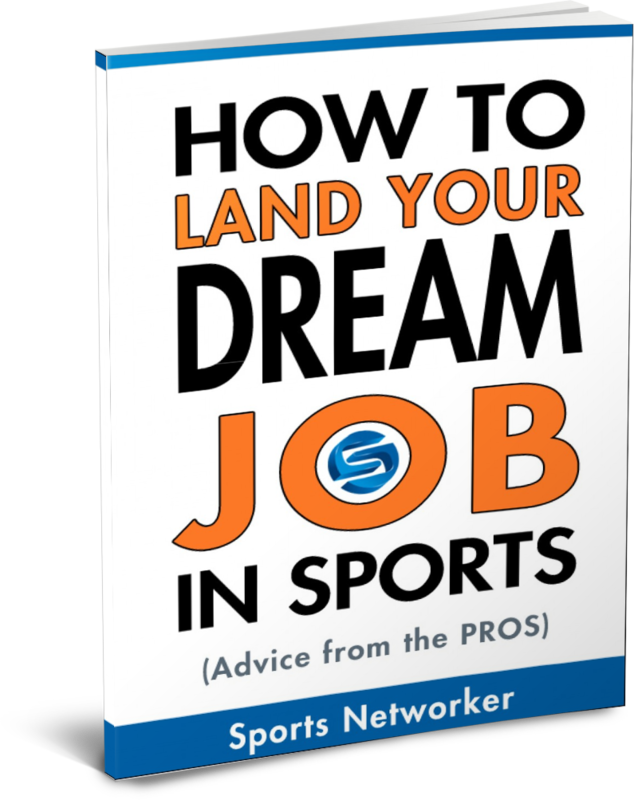 I know we advocate that a lot here at Sports Networker too so that’s great advice on that end. You mentioned an interesting story before we started talking here too about a community manager role that you hired for Real Madrid. Maybe tell that story for everybody that’s watching. Well this is a very interesting story and it has to do with what we’ve been talking about. I introduce Real Madrid to this social media stuff and I created accounts and started to manage them all by myself. But at some point I discover that I can´t be making contracts, discussing with people and managing business decisions at the same time. Managing all this and a digital community is something that is not possible. Maybe we need to find someone to do the latter. From the moment we started with social media, with Twitter and Facebook and all of that, we started to identify people that are relevant and more active. And there is this guy that lives in an Arab country, that studied linguistics and speaks four languages. People like that are very hard to find. This guy comes to us and says, “you know I have been doing this blog about Real, I am very excited about it and I am a huge fan.” He started to provide us with some comments and advice in areas where maybe we can do better in social media. It happened that we had a problem because we weren’t growing fast enough on our Twitter accounts. We hired agencies to discover how we could do that and we spent a lot of money on that. One day this guy sent me an email and said, “Oscar I have an idea. You put RealMadrid all together when you created your Twitter account. It would be better if you maybe put Real_Madrid.” And I said to myself “That´s nonsense”. But we make the change and we move from having 100 followers a day to have 1000. That´s an idea that came from a guy out, of the blue, and not from an agency that is charging a lot of money. That was simple but pretty impressive. This guy continued to do things with us and at some moment, after various months of talking and giving us advice for free, we said “are you interested in managing our Arab Twitter account?” And he started doing that and does a terrific job. Some months after that, we said “why don’t you start managing the English one?” And then the Spanish one. At some moment we said “we’re going to start paying you”. Latter, the guy said to us that he is moving to Madrid because he wanted to work with us in an internship or something similar. So he came and starts working locally. This guy became so indispensable that we ended offering him a job. It´s an interesting story because at some point he needed to go back to renew his papers and one of the Arab revolutions kept him inside his country. He had to find out how to go back. He makes a lot of stops, move around on a bus and take another plane to return. This guy is not only indispensable but he is also passionate about it. That’s when you start to notice that maybe people are indispensable. It started as a free job giving good and valuable advice and being passionate about something. Things aren’t always going to go well but if you persist, things are going to happen. That´s a good piece of advice I think. Yeah. Actually you bring up the point too about the guy you were just talking about; you mentioned that he spoke four languages as well. It has no relation to sports really but at the same time it definitely allowed him to do that role that you ultimately ended up hiring him for. Yes. This guy studied linguistics. The thing is: are you going to say this guy studying linguistics is going to end up working as the social community manager of a football club? Maybe not. Maybe he’s going to finish teaching. But this guy also had this combination of being passionate about some other stuff: about the Internet and also about football and a certain club. If you put all of these things together it’s a very unusual combination and a very interesting profile. It’s the same thing in other cases- just because you are an engineering major that doesn’t mean you will end up being an engineer for a company. Maybe you are going to end up being a manager or end up doing some other stuff. Years ago It used to be: you are going to study something and you are going to finish your professional life working on that. That’s not what is happening around the world and in sports it doesn’t happen. I’m not against the schools that are teaching about sports management; that’s pretty good. But I think that to have a broader vision of things it’s going to help you at your job at the end of the day. Yeah, that’s great advice. So talking specifically about the social accounts with Real Madrid. You headed everything up as far as Twitter and Facebook and YouTube in getting the team online. I watched an interview before we hopped on this call just about a year ago and you had done an interview talking about, I think the team was at about 2 million fans at the time on Facebook, and you talked about the idea of getting to 20 million. I just checked online today and I think it’s around 25 million so maybe discuss that as well. Because I know that was a rapid growth that you saw and it was something that was really tough to even predict. I think that the main football clubs in Europe, for example Real Madrid, Barcelona, Manchester United, clubs that enter in the social media arena in a very serious way, are in the same race. These are very powerful brands and Facebook and Twitter are great ways to distribute them. When you ask, “where is the people online?” People is maybe not in official web sites. They are in Facebook. If you put the clubs there, there is a great possibility that you are going to have a lot of fans. In the beginning it was difficult to have these fans but from the moment you reach a tipping point, fans come and it starts growing and growing very fast. Right now I think the clubs must re focus themselves. In the case of Real, I left the club but i know that the guys that are managing the project are focusing on engagement. These clubs have 20 million, 22 million, 24 million fans, but when you see the engagement rate, which is very public on Facebook; how many people are engaged in the last seven days? The rates are 6% or 5% ; that’s very low. The clubs and any brand need to start forgetting about this very alpha male attitude of “I am bigger than everyone cause I have the biggest fan base.” Clubs and brands need to brag more about having more people engaged. More people engaged and big amounts of them. A big number of fans is nice, you need that goal, but you need to get these people around. The problem right now is you have a lot of people but how many of them are going to react to your post, to your message, to your offer? If you don’t have a relevant conversation and something to keep a big amount of these people engaged you are not going to be relevant. You have to create relevant stuff. That’s the next focus for brands, football clubs and people using social media. Yeah. And I think what you’re saying really translates to all types of brands right? Not just sports teams but all other big brands around the world too. There’s always been a mindset that, “wow we have all of these social media tools.” We have another broadcast tool right? It’s our own personal free press release. You see some of the best brands in the world; Ford comes to mind in North America, there’s probably a few things that come to mind for you in Europe as well; ones that are truly trying to engage and provide unique experiences for their clientele online. Yeah. You have touched a point. The problem is that people and brands are using social media like the old TV concept. We have all these millions of people so we’re going to push messages. Push, push, push, push and push messages. And people is not answering. You have a lot of fans you are sending messages and you have two or three comments. The other day, it was very sad, because a very big sports brand here says, “We are very happy, today is a very special day. It´s the day when we are reaching 3 million fans on Facebook. We are very proud and happy about that.” They receive three comments. Two of them are “today is my birthday” and that is more relevant to me than your 3 million. You guys are very boring”. That’s something that, for me, is very sad. I think that for the manager of the brand its also sad. It’s not having followers and pushing messages. That’s the old model that we already know and people are not paying attention to that. Yeah, the same rules apply for the individuals as they do for the big brands right? If you’re constantly talking about yourself nobody wants to listen to you anymore right? Yes. You have to provide something relevant. If you provide remarkable things and you have something interesting to say people are usually going to listen. Now it has to be something very relevant to say because there is a lot of noise around. People are not paying attention. What is relevant? No one has the recipe. You have to work on that. No doubt. So what does a typical day look like for you today? Obviously you’re no longer with Real Madrid but you’re working with big brands around the world and from what it sounds like you’re literally flying around the world to do that work as well. So maybe give everybody some insight into your day-to-day looks like now in the company you work with. Well we have an interactive agency here in Spain but our headquarters are in Lima, Perú where we are an affiliate agency to Wunderman. In Lima there is a team of 100 guys and we manage accounts like Coca Cola Group, Telefonica, banks, etc. We are one of the main agencies there. We have this commercial office here in Spain and some local clients. We make consultancy for them and we make some of the production in Latin America. Right now what I am doing there is working with clients in the telecommunication sector, trying to activate sponsorships in football. Because of my past experience, it´s suppose I know a little bit about it so I am working with them. I used to travel back to Latin America twice a month for meetings. The rest of the time I am sitting down here talking with people through Skype or on the phone, preparing documentation and discussing strategies. Right now is more a strategic job and it requires a lot of planning and talking in different time zones. These guys are six hours behind us so the days are a little long. We start very early for the people in Spain and we finish very late in the night because of the guys that are waking up in Latin America. That’s our case here, too. You say good morning to me and I say good evening right? Right now I think it´s a pretty exciting time and also it´s a complicated one because clients are demanding more results and they are demanding things to be more concrete when they are talking about it. Nowadays, with the economy downturn, it’s difficult. So people are looking for good advice and also looking for results and things that must be relevant. Our time is a very interesting one. The world is changing, there are a lot of complicated things, the economy is reshaping the way that we used to do stuff and consume stuff. In sports and in every sector. Yeah, no kidding. So these sponsorship activations that you mentioned, are these Latin American telecom companies that are sponsoring European soccer clubs? No it’s companies that are sponsoring local leagues in Latin America. Nowadays Latin America is doing very well. The economy is great; several countries are growing at a rate of 7 percent per year when in Europe you have countries that are growing cero percent or shrinking. The economy numbers are pretty good. You have a very young population; it’s different from Europe. Here the population is aging and in Latin America you have a lot of young people and there is money right now. So it is a huge opportunity. The pyramid of the population is a good ratio; when you see there are a lot of young people in a country there is an opportunity to do business. When society is aging and the economy is bad it’s much more complicated. I am also very happy because I´m from Latin America, I´m Peruviam. And I think that the next few years are going to be a great time for continent. And the great thing is that people there is crazy about sports and crazy about football. So it’s going to be an interesting time for these kinds of gatherings around sports down there. No doubt. And with some major world events coming up in the next four years. In Brazil in particular you’re going to see a lot of awareness and growth and sponsorship opportunities in Latin America in general. You actually bring up a good point; the fact that South America is a younger demographic generally speaking compared to Europe. I think that really speaks to the value of these new tools too because it’s a digital world right? Everybody is connected via cell phones and not necessarily looking at billboards and converting anymore. They’re going to the mobile phone. There is a slower penetration on digital but people are getting more interested on that. It´s also a very good time for what we are going to see happening in Brazil with the Olympics, with the football championship. It’s going to be a great moment and place to test some things going on in Latin America. It’s a pretty exciting moment and I think it’s also good because a lot of brands and companies are turning their heads down toward Latin America. In Spain, for example, some main brands are saying, “we have these very good sponsorships here in Europe but we want to enter, for example, in Argentina or in Chile or in Columbia”. And a way to do that is with a sponsorship. How to decide what we are going to sponsor? What are people excited about in Latin America? Sports. There’s a lot of things to do down there. Yeah. It is exciting. I know even on this side of the world in North America. We obviously had the Winter Olympics in Vancouver a couple of years ago and I was able to experience that and you take in the buzz that was the Olympic experience. From a sponsorship perspective I know there was a lot of brands that got a tremendous amount of value from just being associated with the hype and the excitement of sports in general. I’ve seen it first hand and now I’d like to attend every Olympics going forward for the rest of my life if I can. Brazil is a nice place for that kind of event. It’s a very nice country. A little less rain than in Vancouver I’m hoping when I get down there. So if we were going to summarize up this interview here I wanted to ask one more question. If there was one piece of advice, and I know you’ve given lots of great advice already but, if there’s people watching this video that are trying to break into the sports industry. We had 600+ people on a Webinar yesterday and these were all people interested in trying to figure out how to get into the industry. What would that one piece of advice be from your perspective? I think you have to get inside issues. Read a lot and gather with the right people. You have to go to the places where the guys that are talking about this are and you need to meet them. If you have the opportunity to take your car and drive to a conference you have to go there and sit down with those guys. A problem that a lot of people have is digital media itself. Have a presence on Internet is important; but you have to balance these things. Have the Internet presence but also maintain face-to-face relationships. You have to go and be there. One piece of advice is don’t forget that being relevant is not based only on sitting down behind a computer. You have to do that but you also need to go, meet the people and shake hands. That’s very important. Human relationship is something that is never going to be lost. Yeah. It does definitely seem that it’s more undervalued nowadays because it is easy to keep in touch with people and socialize on the social networks. I know we advocate for that as well; there’s nothing more powerful than building an initial relationship with somebody on Twitter, for example, running into them at a networking event or a conference or something like that and you have an instant barrier that has been broken down where you already kind of know the person without really having met them before. Yeah. Maybe I have exaggerated a little. A handshake kind of thing is what you and I are making right now. We are talking to each other and having a very nice conversation. But I think you need to have the human approach you know? The exchanging of just tweets and stuff like that is not good enough; in some way you have to meet face-to-face. If it’s in-person that’s great; if that isn’t possible, technology allows us to do what we are doing right now. But you have to progress to the personal relationship. You have to make the bonds strong and I think you do that when you meet people face-to-face. Yeah. I know exactly what you’re talking about so I think you explained it great. I look forward to meeting you in-person at some point in the future too. To wrap things up here; how can people get in touch with you if they wanted to find out more about you and what you do and connect with you online. It’s very easy. If you type Oscar Ugaz on Google, you’re going to find me. My name is going to pop up, my LinkedIn , the Twitter and all that. The only Oscar Ugaz that is bald is me, so I’m going to be easy to find. No doubt. 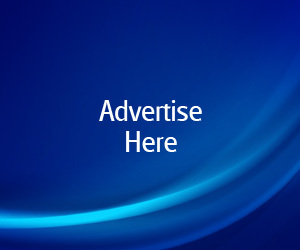 We’ll have your picture on the article and we’ll make sure that we link everything up so that people can no doubt find you and connect with you. Once again I just want to say it was a please to meet you and I look forward to keeping in touch over the years to come. Same to you Trevor. Thank you very much. of materials from hard or soft wood to PVC, aluminium and more. Tian’s system can help secure that all important date the first time around. This would affect all movement and productivity of the website. Shared servers – uncompromised performance as well as security issues. Thanks for every other informative site. Where else may just I am getting that kind of information written in such an ideal means? their strength and price of recurrence. a year old, because 1962, after Algeria gained its independence, his mother moved to France, eliminating inside the Paris suburb regarding Argenteuil. becoming a singer after seeing Michel Sardou perform in 1975.
first-time representative Alexandre Arcady ran an advert seeking a young man using a French-Algerian (or “pied-noir” in This particular language slang) accent for his film Le Coup hun Sirocco. These year, he spent a while in Ny city, where he found Gérard Presgurvic, later to become his primary songwriter. Reading this info So i’m glad to exhibit that I’ve a very just right uncanny feeling I discovered exactly what I needed.